A most infamous strain that since 1994 has won a number of awards, including the High Times Cannabis Cup in 1995, and has acquired acclaim from most corners of the globe - rightly so. It has a pedigree of parentage that combines a Brazilian Sativa with a South Indian hybrid. Basically, it is White Widow changing its colors like its company. 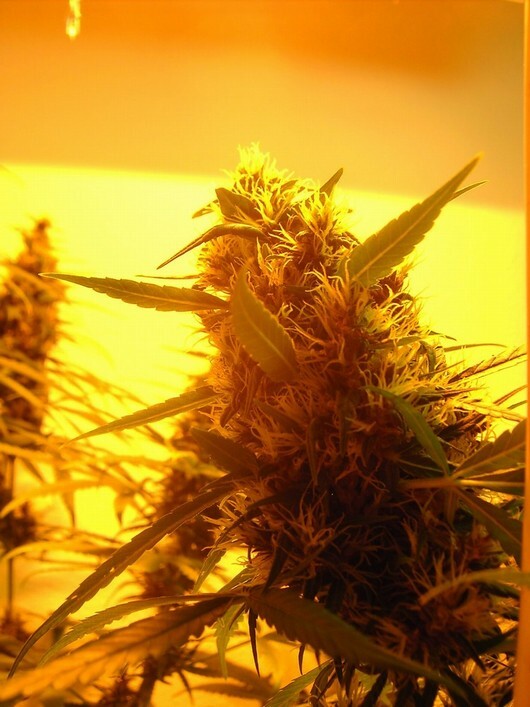 Indoors 10 weeks of flowering will be necessary to realize the immense resin production. In the northern hemisphere expect harvest around September/October, having planted as late as June. However, there is a chance that rain could reduce the expected yield. A highly recommended strain for amateur breeders - the male being preferable.